The Canal Museum is housed in a former canal stable and first opened in 1977. 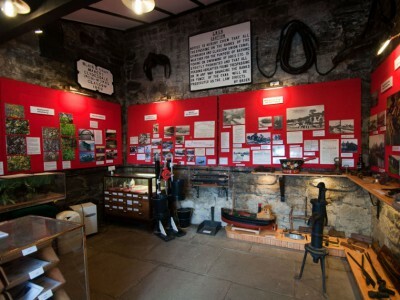 It is the only canal museum in Scotland. On display are old photographs and documents that describe the origin, decline and renaissance of the Edinburgh and Glasgow Union Canal. Boat models, original tools and equipment, and objects from the working life of the canal are also on show. Natural history information changes with the season. For further information about the Union Canal follow this link: History of the Union Canal.